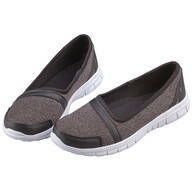 Elastic slip-on loafers are perfect for any casual occasion. 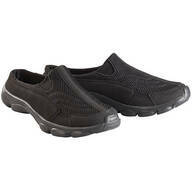 Stretch-to-fit elastic top panel and cushioned insole provide all-day comfort. 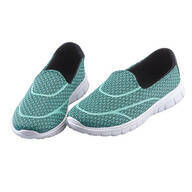 Casual loafer's low wedge heel and flexible, non-slip sole add stability to your step. Specify size. …swelling or poor circulation—breathable hosiery is knit slightly wider, with non-binding, stay-put tops that won’t restrict blood flow. 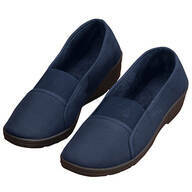 100% nylon with reinforced toes; hand wash. Women's shoe size 8 1/2 -11. 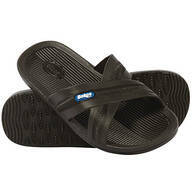 Fits up to 12" calf circumference. Light support, < 8mmHg's. 5 pairs per pkg. USA Made. …Diabetic knee high hosiery are breathable and knit slightly wider, with non-binding, stay-put tops that won’t restrict blood flow. 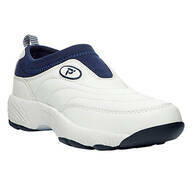 100% nylon with reinforced toes; hand wash. Women's shoe size 8 1/2 -11. 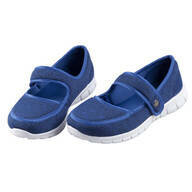 Fits up to 12" calf circumference. 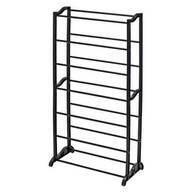 Light support, < 8mmHg's. 5 pairs per pkg. USA Made.